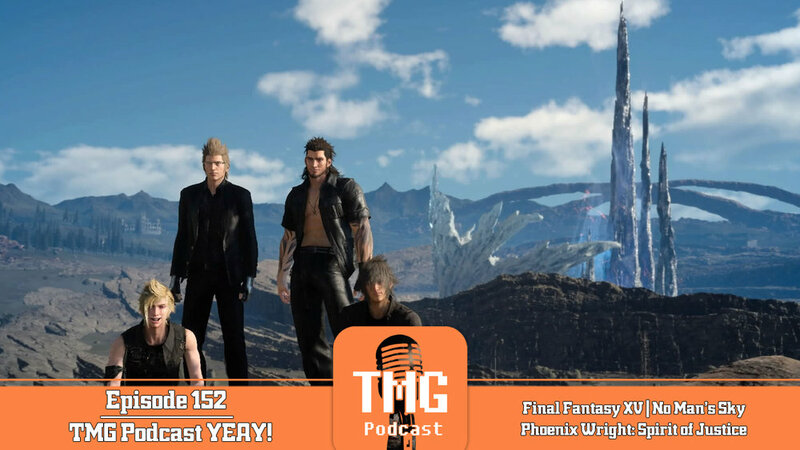 TMG Podcast Episode 152 - TMG Podcast YEAY! December is a go! Final Fantasy XV is out and Miggy is doing funky stuff with the game's Open World at the start of the game. Will was on vacation but clocked some time alone with Phoenix Wright: Spirit of Justice, and Carlos checks out No Man's Sky's ninja update that adds a tons of new features, surprisingly changing the way you can play the game. Also, Marvel vs Capcom 4?